Who would have thought, ZUMBA at the ballpark? 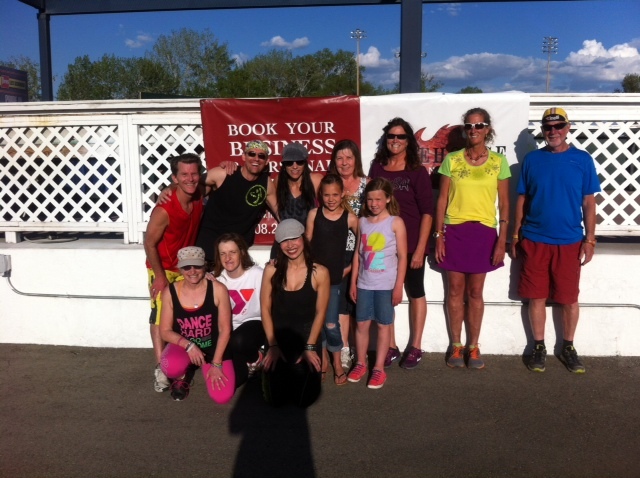 This past Friday YOUR Boise Hawks hosted ZUMBA at the Ballpark with Firehouse No. 6, a community wellness center located at 1620 N Liberty St. Boise, 83704. Firehouse No. 6 offers ‘pay as you go’ programs for people regardless of age, socioeconomic and cognitive impairments. YOUR Boise Hawks teamed up with Firehouse No. 6 to “provide a fitness program for everyone, from the athlete, retiree and physically or mentally impaired individual.” We provide the venue, Firehouse provides the instructors! For more information visit http://www.boisehawks.com or http://www.firehouse6.com. « Get Discovered, Get Evaluated, Get Better!